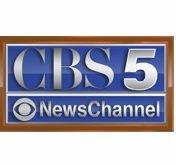 News TV Channel / KGWN-TV is a CBS-affiliated television station licensed to Cheyenne, Wyoming, United States. It broadcasts a high definition digital signal on UHF channel 30 (or virtual channel 5.1 via PSIP) from a transmitter in unincorporated Laramie County (west of Cheyenne) between I-80/U.S. 30 and WYO 225. Owned by Gray Television, KGWN has studios on East Lincolnway/East 14th Street/I-80 Business/U.S. 30 in Cheyenne. Syndicated programming on the station includes Who Wants to Be a Millionaire, Wheel of Fortune, Judge Judy, and Dr. Phil among others. It operates a digital fill-in translator, K19FX-D channel 19, in Laramie from a transmitter in unincorporated Albany County near the Medicine Bow National Forest's northwestern boundary.